“Our steady growth has been fuelled by providing a bespoke level of customer care and service that I feel was missing from within the retail Motor Industry worldwide. 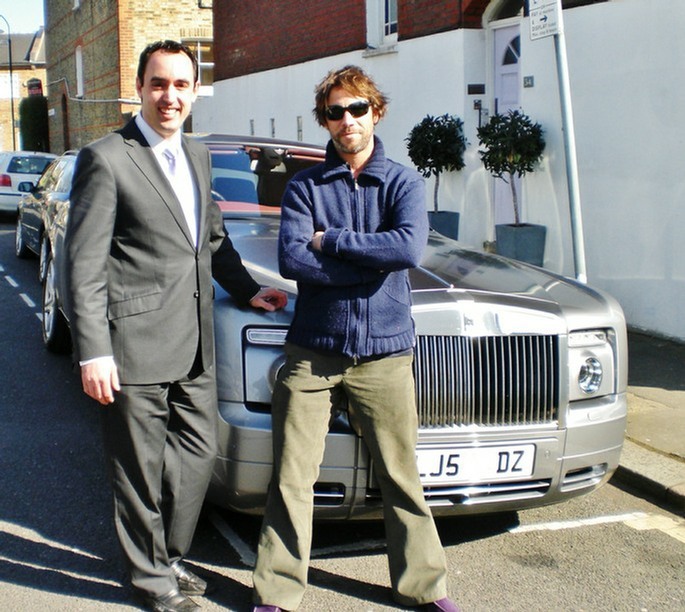 I started MelWood Automotive back in 2011 with a mere £10,000 of my own money. Back then we were very much a"Ground Floor" company, however my vision was to provide ALL customers with something brand new, something unique and that could only be offered by our company. Over 7 years on and I believe we have successfully grown each year as a result of delivering on that very promise, by successfully executing my personal vision of how I see the future of Car Sales globally which as a result have turned MelWood Automotive into what is now a multi-million pound turnover company. Our customers love the straightforward, clear, relaxed, friendly, honest and hassle-free way that we do business. In addition to that, they also fall in love with some of the very best prepared, hand selected, ‘pre-loved’ motor cars that money can buy. This is exactly why they buy from us again and again! Here at MelWood, we pride ourselves on offering outstanding value for money by continuing to maintain our exceptionally high standard of vehicle preparation. By running our overall business overheads as low as possible which therefore allows us to provide any extra funds necessary to prepare your new vehicle both inside and out to a very high standard whilst keeping our selling prices low at the same time. We simply avoid the need for huge, oversized and expensive glass showrooms to do business in. Instead, all of our fully guaranteed (Dealer prepared) cars are stored at a secured location 15 minutes away from our office ready for your inspection at a time to suit you. Simply contact our Sales Department and we shall arrange everything! Don’t have the time to drive to Wiltshire? No problem at all!! At your request, we can also (distance pending) arrange a personal viewing at either your home or workplace. Requiring Finance for your purchase? We have that covered too! We have many years of experience and specialist knowledge of the various funding packages that are available when purchasing your car today. By working closely with selected finance brokers, we are able to obtain very competitive finance quotations that can also be tailor made to suit your requirements. MelWood Automotive Ltd is also authorised and regulated by the FCA (Financial Conduct Authority) for consumer credit activity. Like to buy with a warranty and peace of mind? EVERY vehicle purchased from MelWood Automotive comes with a ‘Minimum’ 12 Month Warranty courtesy of WarrantyWise, the BEST warranty company in the U.K.
An HPI Certificate is also presented to you on handover of your new car to confirm all checks clear. MelWood Automotive are also proud to be Members of the ‘National Mileage Register’, the UK’s largest database of mileages that are able to alert both car buyers and dealers alike of potential mileage discrepancies. Our Founder and Managing Director (Charles Littlewood) has in excess of 28 years of experience within the motor industry, most recently with Bentley Motors where he ran an extremely successful sales portfolio providing some of the world’s most exclusive motor cars (including Lamborghini, Ferrari, Aston Martin and Rolls Royce to name but a few) to high net worth individuals from all over the globe. Customer service is paramount in this sector, but Charles always believed that this level of service should be given to every customer, irrespective of budget. That’s the MelWood way. We are open for business from 9am to 8pm (Monday through Friday), and Saturday from 10am until 5pm. However should you have a question regarding one of our vehicles that simply cannot wait, we are always more than happy to take telephone calls or respond to emails from our clients outside of normal working hours. So please feel free to contact us whenever it is convenient to you.